Pectostop is a complementary feed specifically formulated to be added into the milk (or milk replacer) of young calves and lambs. 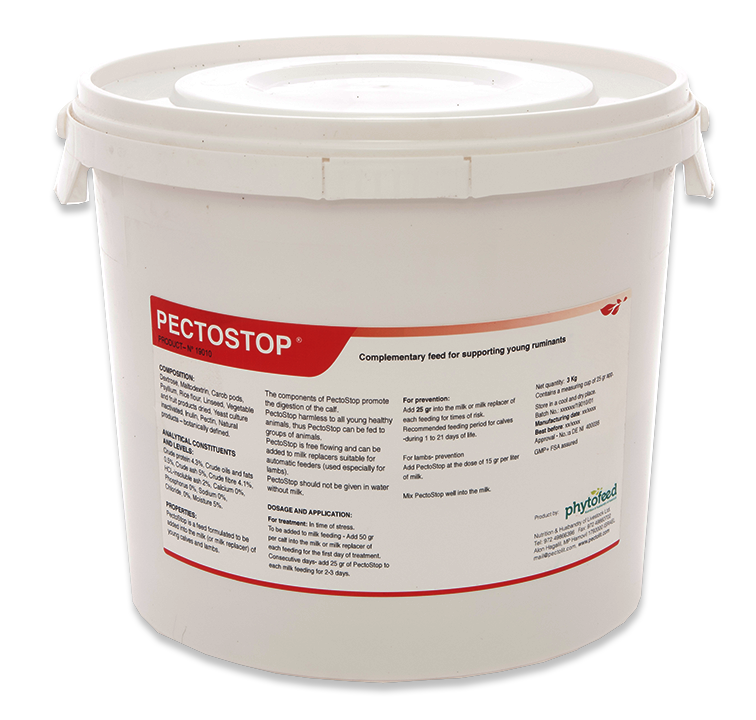 The components of PectoStop promote the digestion of the calf and protects the gut epithelial cells. Pectostop is harmless to all young healthy animals, thus Pectostop can be fed to groups of animals and to be used for prevention. Pectostop is free flowing and can be added to milk replacers suitable for automatic feeders (used especially for lambs). Pectostop should not be given in water without milk.